DOWNTOWN LOS ANGELES -- The famous Museum of Ice Cream announced it will open an exhibit in downtown Los Angeles in April. The museum's second location will open at 2018 E. 7th Pl. in the Arts District and will feature a sprinkle pool with 100 million sprinkles, a room with 10,000 bananas, a "mint" grow house and more. The Museum of Ice Cream opened its first location in New York City in 2016. The exhibit sold out within five days and attracted a waiting list of more than 200,000, according to the museum. The West Coast location will be four times larger than the New York City exhibit and will feature 10 installations. 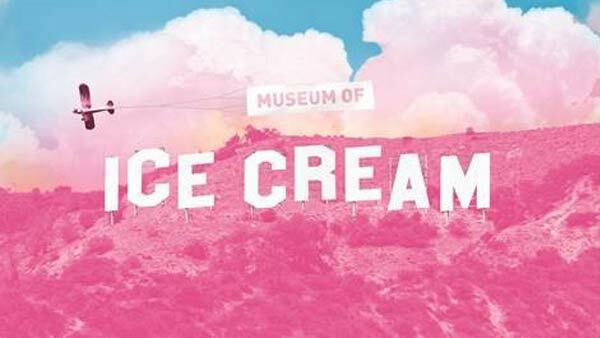 The Museum of Ice Cream will be in the Southland from April 22 until May 29. The exhibit will be open from 11 a.m. to 10 p.m. Wednesday through Monday. Tickets are $29 per person - $18 for children and seniors - and include two curated ice cream tastings and edible treats. Tickets go on sale on Monday. To learn more, click here.